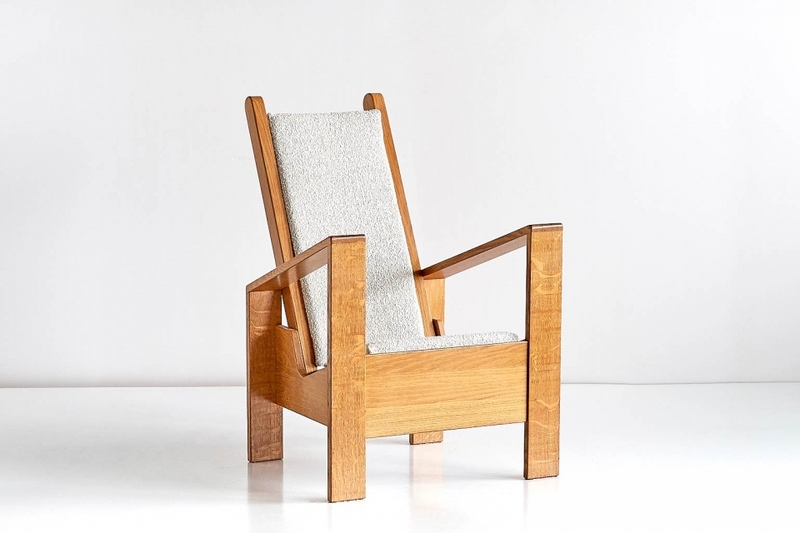 This modernist armchair was designed and produced in France in the 1940s. The architectural lines of the design are reminiscent of the work of the French designer Jean Royère. 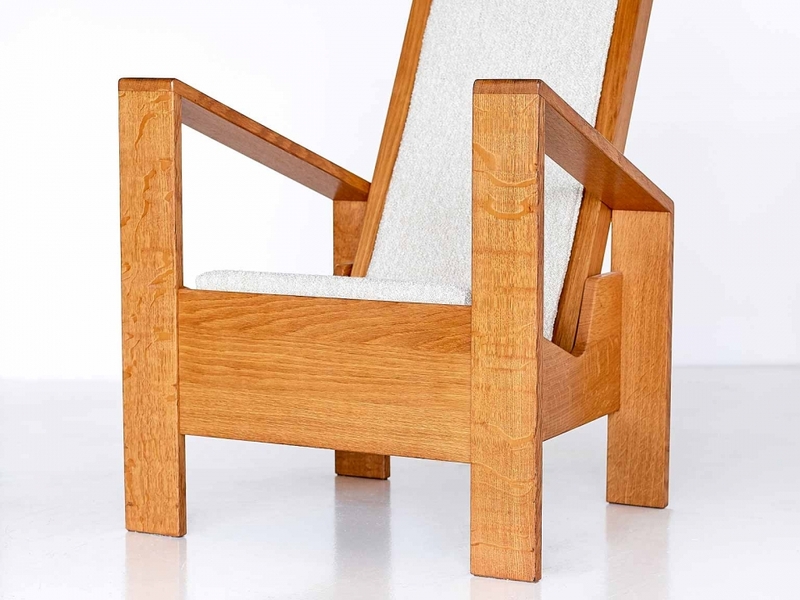 The distinguishable grain of the solid oak frame and the bouclé fabric offer a refined contrast in texture and material. 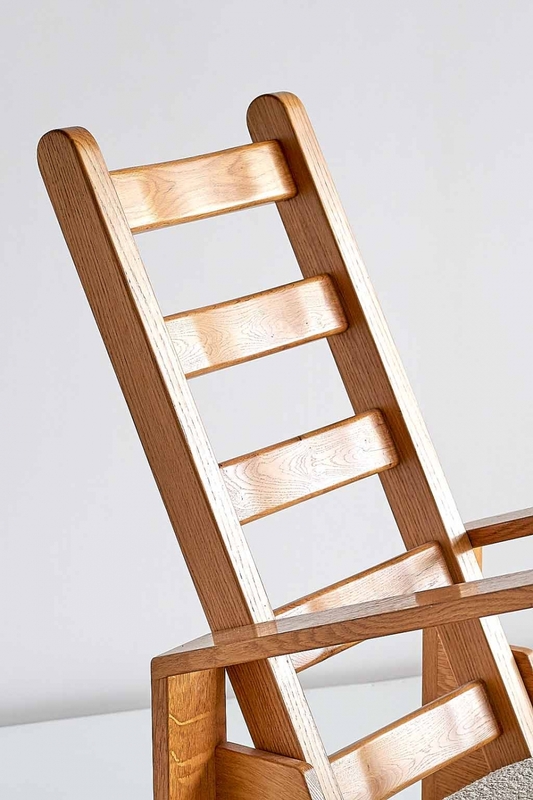 The particularly striking angles and the carved slats of the backrest make this a surprisingly comfortable and ergonomic lounge chair. The removable cushions of the backrest and the seat have been reconditioned and newly upholstered in an ivory Lelièvre fabric.